The first camera samples from the 13MP camera of the Sony Xperia GX are out (through unofficial means, but still). The shots themselves are taken with an pre-release unit and indoors under not-so-good lighting, so it's too early to be talking image quality, but this leak still holds some very interesting details. 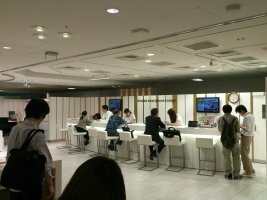 First off, the photos were taken at the DoCoMo Smartphone Lounge where a demo unit of the Xperia GX was available. The shots have 4128 x 3096 resolution, which falls short of 13 million pixels. The EXIF data reports an F/2.4 aperture and 4mm focal length. The device's model is listed as "SO-04D" - matching the model number of NTT DoCoMo's device - but the person who took the shots claims the device on display was actually the rumored international version of the Xperia GX (the one with the Xperia logo above the screen). Sony is still mum on whether the GX (and the SX too) will see an international launch. And it's odd that the international version would be displayed at the DoCoMo lounge. 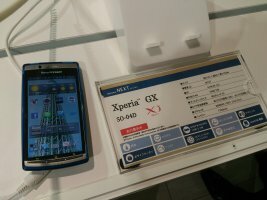 So, it goes without saying that a non-Japanese Xperia GX is still only a rumor. Miss quoted me again. I never claimed they invented Amoled,but they sure are doing the best with it. Having the best hardware is what helps make them create such great entertainment. Duh! Lol. Quit trolling already! Does anybody sees that this is SonyEricson phone?? ?